November « 2014 « Central Australian Art Society Inc. Consider joining us this coming Saturday afternoon at 3. We will enjoy fine company, a glass of wine or two (olives optional!) 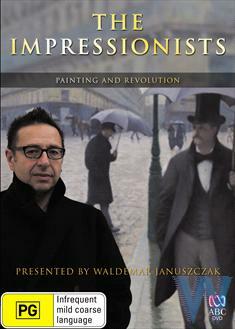 while watching the first episode of the wonderful BBC production: The Impressionists- Painting & Revolution. Presenter Waldemar Januszczak walks us through the places and history, and of course the art, where “The Gang of Four” defined a new art movement. We expect that you will wish to return in 2015 to see the remaining DVDs.